A substantial bare greenfield site in Taurangas fast-growing Tauriko Business Estate has been placed on the market for sale with a myriad of future development options available. 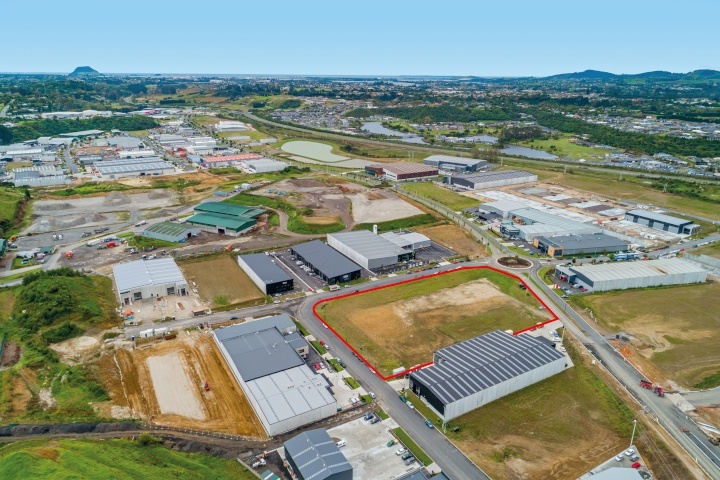 This substantial bare greenfield site in Tauranga’s fast-growing Tauriko Business Estate have been placed on the market for sale – with a myriad of future development options available. The bare land Tauriko site is zoned Tauriko Industry under Tauranga City Council’s district plan, and is being sold ready for development – subject to obtaining the necessary building consents. All utility services and roading are in place to sustain building. •	Water. Water supply to Tauriko Business Estate comes from the Oropi reservoirs, and is reticulated and available in the road berms. •	Storm water. Tauriko Business Estate is connected to Tauranga City Council’s storm water system. There is a storm water connection within the lots. •	Waste water, Tauriko Business Estate is connected to Tauranga City Council’s wastewater system. Sewer mains have been supplied throughout the estate, ultimately connecting to Tauranga City Council’s southern pipeline. •	Telecommunications. Sites are serviced by ultra-fast fibre up to 1gbs reticulated in the road berms ready for connection. Mobile broadband up to 5mbs, wireless internet 10mbs down, 1mbs up. The network is serviced by all the leading retailers. •	Power. Tauriko Business Estate is serviced by underground cables enabling a minimum of three phase 100amp per lot. Should a purchaser require a higher level of service, they can enter into direct dialogue with Powerco. Upgrades to the capacity of individual lots to suit is often available. •	Gas. A connection to a minimum of 200Kpa is reticulated in the road berms ready for connection.